Check out this gear set guide for the Hard Wired in Tom Clancy's The Division 2! Find out more information on its stats, talents, how to get, and more! Check Out The Brand Set Gear System Here! Note: Wired Gear Set armor stats will be updated once it's been confirmed! Check back for updates. Hard Wired parts can be acquired by defeating bosses on WT5 Invaded Missions. They can also be found as random drops from Black Tusk enemies. 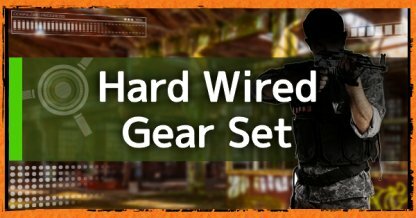 To be able to craft the Hard Wired set, you'll need the blueprints first. 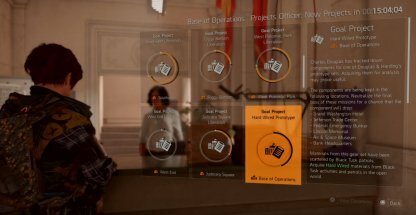 Give the Hard Wired parts to the Project Giver in the White House to receive the blueprints to the Gear Set. This section will be updated with more details once we confirm it in game. Check back for updates!